About 225,000 new small businesses are established every quarter in the United States. While those small businesses may fall in a wide range of industries, from hair styling to landscaping, they all share one thing in common — all require a steady flow of working capital. It takes money to make money! Without sufficient cash on hand to cover necessary day-to-day tasks, a business won’t be around for long. One way to better align your future cash inflows (a.k.a “Check’s in the mail!”) with your current cash outflows is invoice factoring. Invoice factoring is a way for business owners to quickly unlock funds from pending invoices for operational expenses as well as growth opportunities. Simply put, invoice factoring is when a business sells its accounts receivable to an invoice factoring company in exchange for upfront cash. With a factoring transaction, you get paid by a factoring company, and the factoring company gets paid by your customer (as they would take over collecting). How does factoring receivables work? Let’s imagine that Steve runs a residential staging company in which he’s hired by real estate agents to prep homes that are for sale. When Steve receives a staging assignment, he buys or rents items to give the desired look of the property and hires moving services (that couch won’t go up the stairs by itself!). While Steve charges an initial consulting fee, he generally gets paid on a monthly basis. However, every time a new client requests a staging, Steve needs to procure additional materials — and that requires a significant amount of upfront cash that he won’t see in his bank account for another 30 days. By factoring receivables, Steve uses an invoice from a previous job and gets an advance rate of 80 to 85 percent of the total invoice within 24 hours. With those funds, Steve can avoid a cash crunch and keep a steady flow of capital to cover staging items and moving fees. It’ll also help him continue to sell more homes and afford taking on new clients. Let’s review both the good and the bad when it comes to accounts receivable financing. Turning down a big order from a customer and letting the competition snag that business is never ideal. Being able to meet the necessary financial obligations to get to work right away is a major plus for invoice factoring, with funding in as little as one to three business days. Many banks are hesitant to lend to small businesses in general, much less those with less-than-excellent credit. With invoice factoring, your credit score tends to not even be a factor — lenders are primarily concerned with the creditworthiness of your customers (since your customers are technically responsible for paying back what you borrowed) and outstanding invoices. So, if your credit or time in business is preventing you from securing traditional business financing, invoice factoring may be among the few options that you have as a small business owner to secure working capital. When you first set on your quest to become your own boss and make your entrepreneurial dreams a reality, you sure didn’t think you would spend a good part of your day sending emails like “Re:Re:Re:Re:Re:February Invoice” and following up on partial payments from clients. Having the ability to tap into much needed cash flow empowers you to focus on your real objectives: growing your business and chasing your passion. But invoice factoring also has some downsides. With invoice factoring, a factor typically takes over the collection process. Depending on the terms of your invoice factoring contract, your lender may send out a “notice of assignment” to clients whom you have chosen to factor — or require you to send that notice yourself. Having a third party meddle with the payment process may turn away some of your client base. Many invoice factoring companies don’t work with business-to-consumer (B2C) models, which means that your pool of factorable invoices is limited to those in eligible B2B industries. Why? The main reason is that business-to-business (B2B) and business-to-government (B2G) relationships often involve formal invoicing contracts, which improves the likelihood of reliable repayment. Fast cash comes at a great cost. Compared to more traditional loans, invoice factoring often costs more and is accompanied by numerous fees. The cost of borrowing money is determined by the factor rate (also referred to as a “discount rate” or “factoring fee”), which ranges from 0.5% to 5% (per month) of the invoice amount advanced or total invoice amount. The factor rate can be charged as a one-time fee, or on a weekly or monthly basis, depending on the lender and terms determined. Your rate will largely be determined by the number of invoices (and dollar amount) you’re planning to factor — so as a general rule of thumb, the more you sell, the lower your rate. As an example, let’s say you’re charged a factor rate of 4% per month on the total invoice amount. This means that from a $10,000 invoice, you’d only see $9,600 — and that’s if your customer pays within one month. Setup fee – Similar to an origination fee, this is a one-time charge that is typically about 3% (up to $1,000) for evaluating and originating the factor agreement. Lockbox fee – Ranging from $50 to $500 per month, this fee covers the cost of keeping a designated account for your clients to send their payments. Wire fee – Typically $15 to $50 if you choose to receive payments via wire instead of an ACH deposit. Credit check fee – Just because you may not need a business credit score to factor your invoice doesn’t mean that the factor won’t run a credit score on your clients and make you pay for it! Fee amount can vary. Unused line fee – Typically 0.15% to 0.5% and used to cover the unused portion of a factoring facility for a given month. Collection and overdue fees – Additional fees for collecting well past due payments from your clients. Fees vary per factor so review the full schedule of fees and compare your options before choosing an invoice factoring company. With a slow-paying customer, you may wait eight weeks for payment, but you’d eventually receive 100% of that invoice. On the other hand, under an invoice factoring contract with a 4% monthly factor rate, you would only get 92% from that invoice (and that’s not taking into account other fees). Even worse, factors may not be as friendly to your late-paying customers as you would like them to be and may even prevent you from factoring invoices from those types of customers. All of this may create an image that your business is struggling and prevent you from securing new clientele. There are two types of invoice factoring: recourse and nonrecourse. Recourse factoring is much more common, and makes you, the business owner, liable for invoices that go unfulfilled. So, if you sell a $25,000 invoice to a factoring company, and your customer ends up failing to pay, you’ll need to muster up the funds. 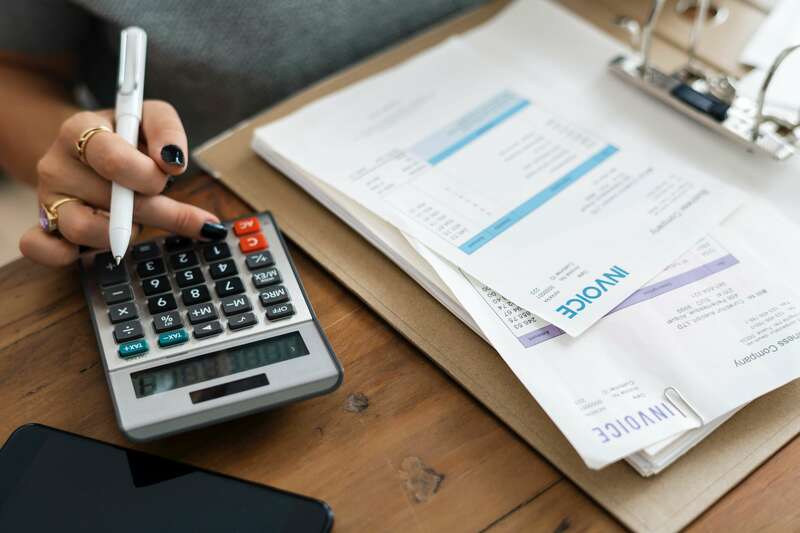 While some lenders offer spot factoring (the ability to choose which invoices to factor), some factoring companies may require you to sell all of your outstanding invoices. If you have a slow-paying customer — or multiple — this could end up hurting you more than helping you. Using the example above, would you be willing to give up 8% (likely more with fees) of an invoice to access the other 92% much faster? If yes, are you ok with receiving only 80% now and 20% (minus fees) once your client pays? In general, you may only want to factor an invoice if obtaining working capital right away outweighs its high cost. What qualifications does a factoring company require? Complete list of requirements vary per factor. What is the difference between invoice financing and factoring? The key difference between invoice financing, also known as invoice discounting, and invoice factoring is responsibility for collecting payment from clients. With invoice financing, you’re borrowing against your accounts receivables (with these outstanding invoices serving as collateral). An invoice financing company lends you cash upfront and, upon receiving payment from your client, you pay back the lender the loan plus interest and applicable fees. Your business remains responsible for collection and continues to manage the relationship with your clients. With invoice factoring, the lender buys the accounts receivables from you and takes over collecting from your client. The factor advances you a portion and sends the remaining balance (minus fees) after collecting from your client. Since factors are in the business of collecting payments, they’re generally faster (and more skilled!) than business owners in chasing down customers for owed money. With invoice factoring, you’re advanced 80 to 85 percent of the invoice and repayment is based on how long your customers take to pay off the outstanding invoices. With invoice financing, you can be advanced as much as 100 percent of the outstanding invoices, but will be required to pay back the lender on a weekly basis over a set period of time — typically 12 to 24 weeks. And if you’re a B2C company, you’re in luck: invoice financing companies accept B2C invoices. How much does factoring invoices cost? In this scenario, you would receive $19,995 [($25,000 x 80%) – $5 ACH fee] in a few days. Your customer pays the invoice two weeks later. After subtracting the 3% processing fee ($750), 2% factor rate per week ($1000), and $5 ACH fee, the factor pays you the remaining $3,245. In the end, you only would see $23,240 from that original $25,000, costing you $1,760 with an effective APR of 183.04%. Invoice factoring is best used for very short-term financing. With weekly factor fees and target collection periods of 90 days and under, invoice factoring is best suited for covering operational costs. With a term loan from Funding Circle, you know exactly what you’re getting into from day one, helping you to budget better and focus on growing your business. Our fixed, affordable rates make your repayment schedule predictable with a consistent, once-monthly payment over the life of your loan. With the example above, factoring an invoice for $25,000 over the course of just two weeks would cost you $1,760. In contrast, you could borrow $25,000 over the course of six months from Funding Circle and potentially pay just $613 (a combination of your interest and origination fee). Funding Circle offers $25,000 to $500,000 term loans with repayment terms ranging from six months to five years and rates starting at just 4.99%. Funding Circle’s application process is quick, easy, and transparent, and you can receive a decision from us in as little as 24 hours after document submission.